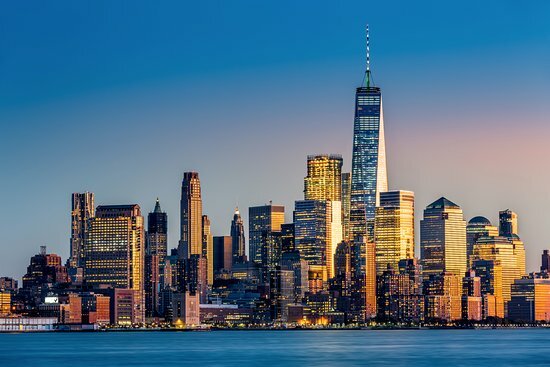 New York, which is the largest city of the United States, with its downtown area Manhattan being the very first futuristic looking skyscraper city in the world never sleeps and it’s full of things to do every day and every night. 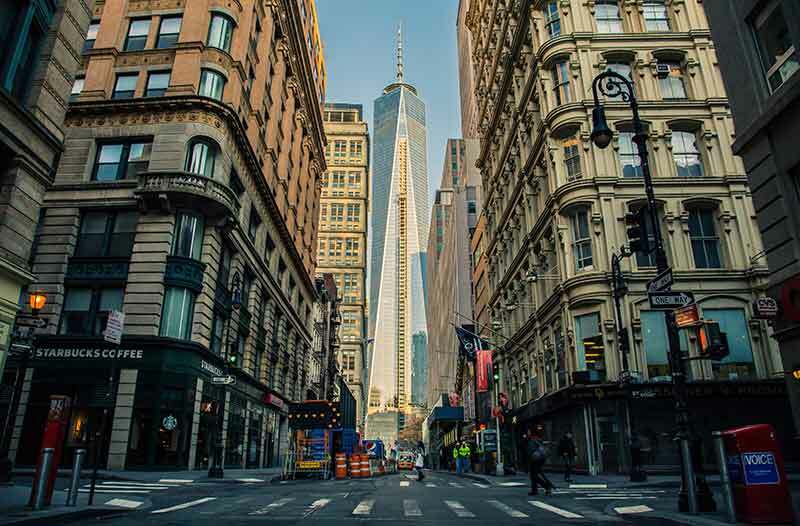 Contrary for its reputation, New York is one of the most beloved cities by its own inhabitants a place where tons of artists decide to reside and it’s a real melting pot of cultures, from all over the world. The huge city has districts of all sorts and it offers a great range of events for everyone. 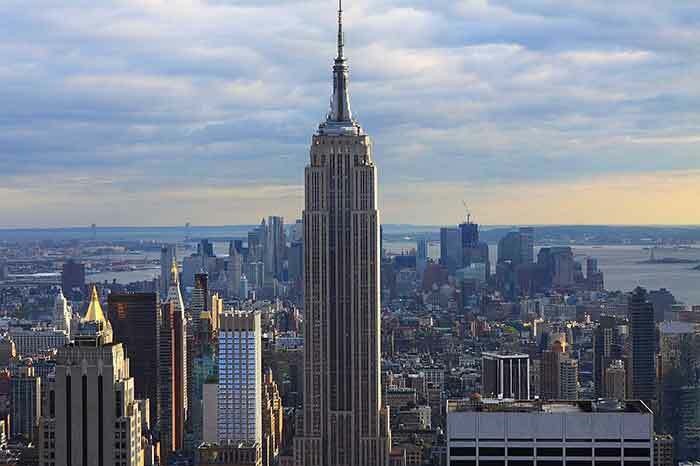 New York is used as an umbrella term and it covers numerous islands which make this huge city together. Most people, when it comes to New York would think of its central island called Manhattan. But the whole city is so much more. Being the key place to welcome immigrants since the beginning of the 1900s each district has its own deal of nations and people living in there. Brooklyn, Bronx, Queens and Harlem all have their own identity alongside neighbouring Long Island, Staten Island and more. This city which is also known as the Big Apple, has always been international. Over the past century it has welcomed millions of immigrants from Europe due to the World Wars and also immigrants from all over the world. The city has long been the representation of hope to survive and the American Dream according to which hard work would eventually pay off. To this day New York is one of the hubs of trading, cultural life and business life and lots of talented people arrive to work here. Apart from that, the city is also a key place for many to visit. it has become the symbol of Liberty for all the millions of people, who arrived from the war-torn Europe to start a new life. 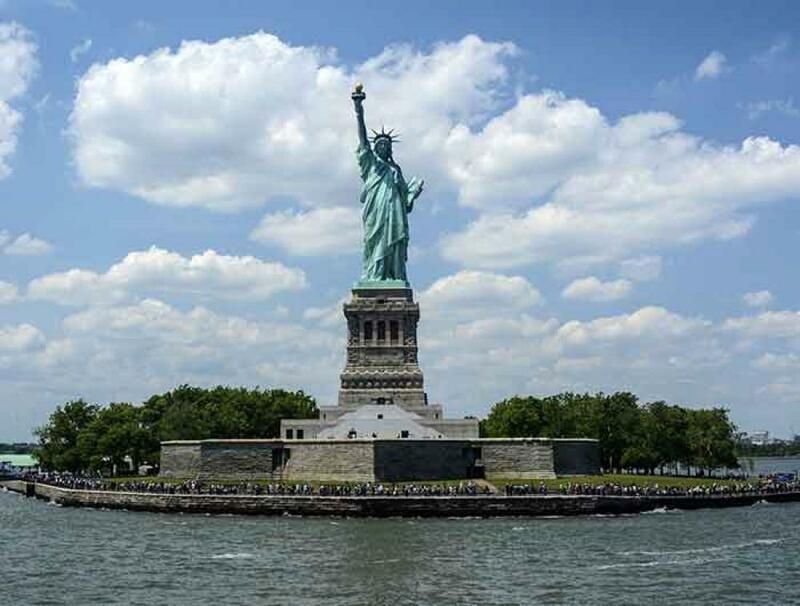 Therefore, the Statue of Liberty, originally a gift from France has really become the key symbol for the United States representing freedom. It’s not easy to get on top of the statue as the number of daily visitors is extremely high, so book a ticket well in advance. much renowned for being one of the museums with the largest collections of artworks the Metropolitan Museum is definitely a must-visit place for everyone being fond of arts and history. currently situated at the highest points of New York, the observatory doesn’t only provide the perfect birds-eye view to the city, it also gives visitors the chance to learn and to view some of the nearest located planets. This is a very highly visited spot therefore it’s best to book a ticket well in advance. Elevated railway line which has been transformed into a public park, It offers the perfect experience for artworks, horticulture, seasonal food vedors and unique views of the hudson river. Broadway has long been the key place for performers to play at. No matter we talk about plays, musical concerts or cabarets, they first were featured on the Broadway and their success depended on their reception here. To this day, Broadway is the key theatre district of the United States and all plays should first debut here. it has long been one of the trademark attractions for the city. The skaters of the Rockefeller Center are featured on countless photos and post cards ever since its completion. It’s also a focal point of the local Christmas celebrations and it’s traditionally the place to erect the largest Christmas tree for New Yorkers. being the key zoos of New York this is one of the best activities for both New York families and tourists to visit. housed in a very futuristic looking building this museum has long been the staple of contemporary arts from all around the world. The whole museum started as a private collection of Peggy Guggenheim, specifically featuring cubist, expressionist and surrealist artwork, but as of today, it’s welcoming art works from all over the world. you haven’t really been to New York if you haven’t spent at least a few minutes at the overly futuristic and overly packed Times Square that represents the very centre of the city. if you are looking for a more relaxed attraction to visit, then you ought to visit this lovely botanical garden which gives homes to a great deal of plants and flowers from all across the globe. many may have seen this historical museum presented in the famous trilogy of Ben Stiller’s Night at the Museum trilogy and it’s a real treat for everyone who is interested about learning the world’s history and see giant skeletons of ancient animals. if you are interested in performing arts, then you should definitely pay a visit here, as the centre features multiple events every day. for the sports lovers this is a real trademark of New York and a team or a sportsman is considered real if he or she has ever performed in the MSG. 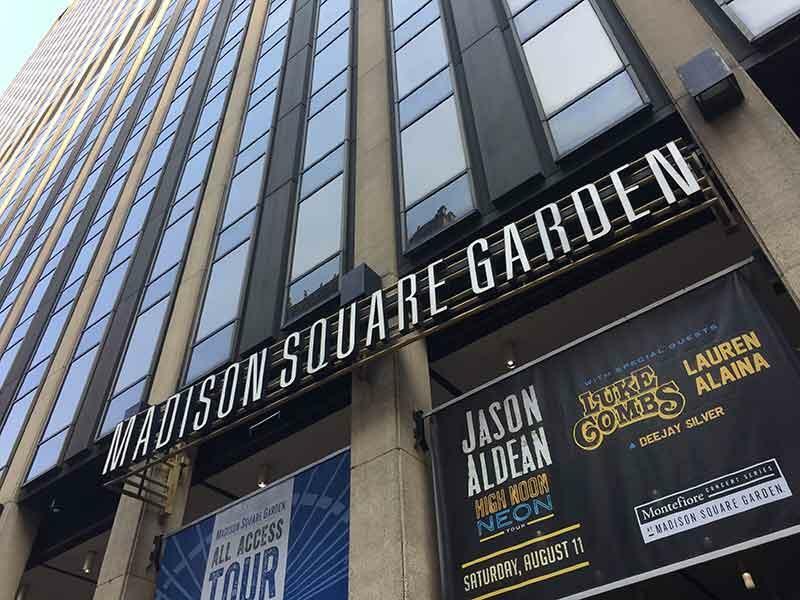 Giving home to countless premiere sports events the Madison Square Garden is arguably one of the most famous centers of sports in the world. another great place for seeing contemporary arts, the Museum of Modern art hosts exhibitions from all over the world. being featured in countless movies, St. Patrick’s cathedral is one of the oldest and most monumental churches in the whole city and it’s visited by thousands on a daily basis. housed in a historical century old building, this is one of the largest libraries of the United States and it’s also a scene for many movies, including the 80ies hit the Ghostbusters. it’s not as famous as the San Francisco Chinatown, but New York Chinatown is one of the largest ever Chinese speaking districts in the world: so, all new Yorkers wanting to buy exotic fruits such as durian or exotic spices head here, including those wanting to eat Chinese in a more authentic setting. if you are with kids or you would simply like to see all the hard work which was put into creating lifelike wax figures of stars and famous personalities, then you should definitely pay a visit to Madame Tussauds. Book a ticket well in advance. New York has arguably some of the best pizzas in the world. New York doesn’t only have a busy arts scene it also is one hub for the antique dealers and you can really get to find some treasures at the flea markets of New York. The current largest flea market is the Brooklyn Flea Market. 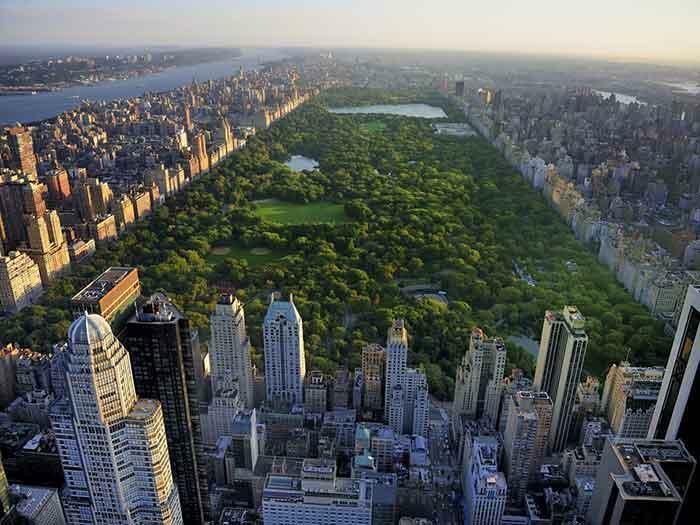 the biggest green park of Manhattan, the Central Park is a very important place for every New Yorker for strolling, dog walking or even when it comes to watching its central lake. 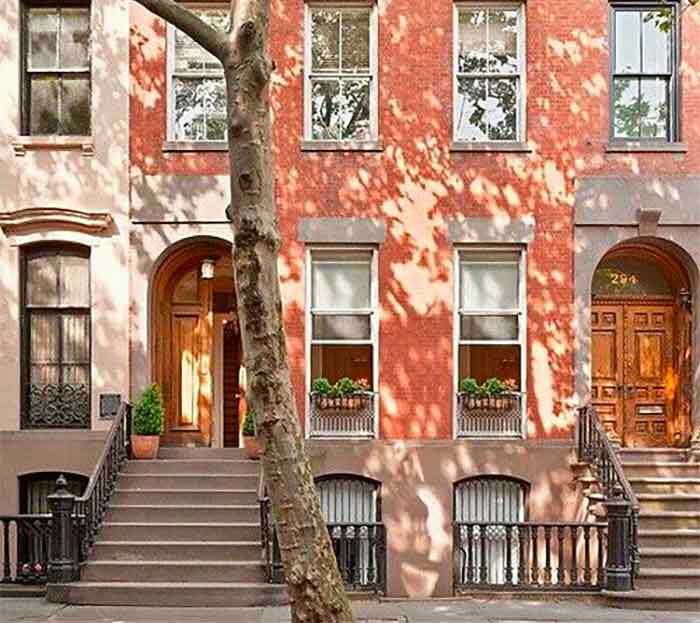 the premiere street of Manhattan, one of the most famous shopping streets in the world. New York is a paradise for shoppers, featuring loads of shopping malls, which are big and feature the collections of the key brands. No wonder that one of the key fashion related events the Fashion Week is also held in New York, before the start of each season. The top places for shopping include the Saks 5th Avenue, Brookfield Place, Macy’s and so much more.